Schweitzer Engineering Laboratories, Inc. (SEL) has earned a reputation for quality, reliability, integrity, and service. This has enabled us to expand within both the electric utility and industrial markets to include international customers and OEM markets. In 2012, SEL earned a spot on the FORTUNE Magazine 100 Best Companies to Work For list. This prestigious ranking celebrates the SEL 100% employee-owned culture as one of the best in the country. SEL has received numerous awards, including the Puget Sound Business Journal’s 100 Fastest-Growing Private Companies in Washington State (1999 through 2003, 2010, and 2011), Inc. Magazine’s 500|5000 Fastest Growing Private Companies (1990, 1991, 2008, 2010, and 2011), the Association of Washington Businesses (AWB) Manufacturing, Workplace, and Community Service Award (1998 through 2010), the Washington State Quality Achievement Award (WSQA), and the Washington Secretary of State Corporations for Communities Award (2010). Puget Sound Business Journal has also ranked SEL as one of Washington State’s Top 100 Largest Private Companies every year since 2007. In an independent survey conducted by Newton-Evans Research Company, SEL ranks first in all performance categories including: technology, features, security against hackers, web/internet information ability, technical service and support, maintenance cost, relay setting PC software, and price. Since 2006, SEL has also held the elite VPP STAR status certification from Washington State Department of Labor & Industries. Less than 2,000 companies in the U.S. earn the VPP STAR status for outstanding safety and health programs. Are you ready to be part of a highly motivated and well-equipped team? Are you a quick learner who likes new challenges? If so, then you are ready to join us at Schweitzer Engineering Laboratories. Our products and solutions must be simple and reliable because they protect the largest, most complicated machine on earth: the electric power grid. Blackouts in the U.S. and Canada remind us that reliable electric power is crucial to our society. 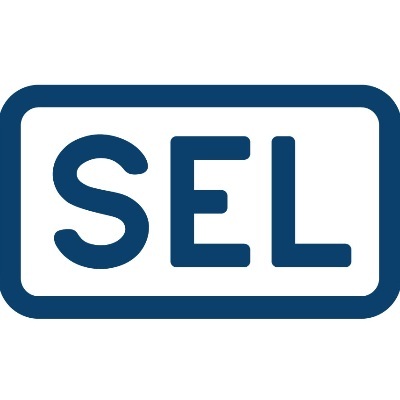 SEL provides systems, services, and products for the protection, monitoring, control, automation, and metering of utility and industrial electric systems worldwide.